The importance of sustaining the environment is much more than anything. We have seen many instances of neglecting the environment or nature for human development. But, it’s still unclear whether we can call that development or not. Progress made by the sake of losing the other is never sustaining. The same way, Vigneto sees episodes of conflicts. Recently, the Army Corps of Engineers has been issued a notice for violating the federal law. The notice says that the approval of the water permit is against the law. The notice allows the Army Corps of Engineers to have rectified the violation; otherwise, the law firm Earth justice will file a case against the corps on behalf of the Lower San Pedro Watershed Alliance, the Center for Biological Diversity, Sierra Club, Maricopa Audubon Society, and Cascabel Conservation Association. In 2016, Earth justice law firm sues the Army Corps of Engineers for not consulting with the U.S. Fish and Wildlife Service about the project’s possible impact on the endangered species before getting the Clean Water Act permit. Since then the permit was lying invalid, and in October the corps again reinstated the permit. And the new lawsuit against the reinstating of the permit says that there is a narrow scope of analysis on which the permit is based. It has not taken into account the larger factors present there. The consultation for the permit has avoided the impact on groundwater levels, critical habitats and listed species, including the western yellow-billed cuckoo, the northern Mexican garter snake, the jaguar, and others, as per the notice. Earthjustice’s attorney said the Corps is turning a blind eye to these serious impacts on the environment; they were trying harder to avoid their obligation. Vigneto’s developer, El Dorado Holdings, had inherited the Clean water act permit from another small project, to be called Western Ranch, on the very same site. 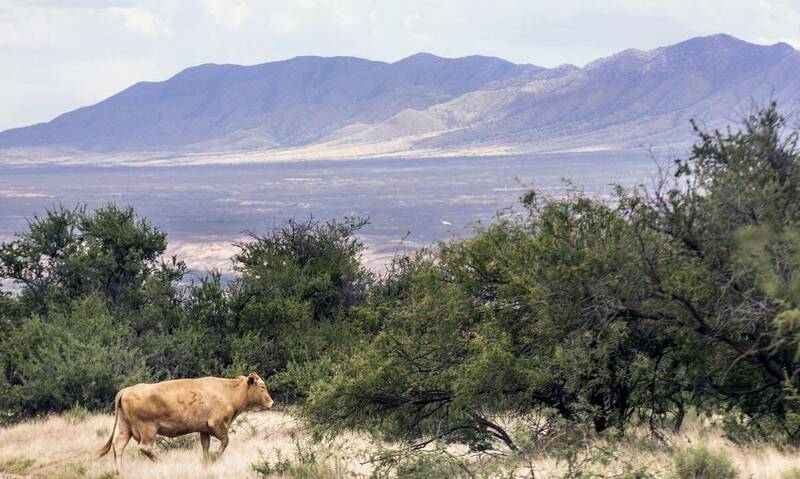 But, the environmentalists argued that the project Western Ranch was around half the size of the project proposed. And, flora and fauna have changed much in the last ten years. In fact, two species in the area — the western yellow-billed cuckoo and northern Mexican garter snake — have been listed as endangered. The environmentalists also claimed that the amount of water going to be extracted from the ground for the 70,000 residents is going to dry up the San Pedro river. The San Pedro River is the last major flowing river in South West America. Even then, the wildlife service agreed on this point. But, in a U-Turn, the wildlife service has sided with the Army Corps now. It now says that the consultation’s scope of review can be curtailed stating that El Dorado is ready to complete the project legally without a Clean Water Act permit. The wildlife service said that the project is never going to have any impact on the critical habitats and endangered or threatened species. But, environmentalist’s version talks much about the danger. As per them, even if the project goes on without the permit, the filling of 51 acres of desert washes is evident. And, this will have some serious concerns. As per the developer, the filling of desert washes is needed to make the community strong and connected. The whole project is based upon this idea. Without connectedness, there is no reason we can call it a community. Environmentalists also objected that the decision to review the part-1 of the project is not sufficient. Phase-1 includes only 8200 acres of the total 12300 acres project. The economic impact of the 2008 recession in Benson was so huge that they are still trying to recover. So, the Vigneto project can help this to turn around. As per a study, the Vigneto project will generate $1.2 billion economic impacts annually and give 9460 jobs to the area. The business community is also optimistic about the outcome. They hope that the tax revenue earned from the project and the overall infrastructure overhaul by the builder will have some positive effects on the economy of Benson. More job opportunities in the area will be good for the youth and may help to stop migration. So, the El Dorado now expects the project to happen in the first quarter of 2019 after long pauses and breaks of legal fights. There are questions over the successor feasibility of the whole project. People are skeptical about the claim of bringing 70,000 people to a small town of Benson. 70,000 seems quite a number. People are even skeptical about the number of houses going to be sold owing to the price. Each house will cost a minimum of $125,000. And even if the project attracts such a huge number of people, will the city be safe for sustaining? The city lacks the infrastructure to cater to the needs of such a huge number of people. And without improving infrastructure within the city, it may become disastrous. As of now, the developer has not even revealed all the information. So, in the haze, continuing the project has many risks attached to it. The conflict between the environmental supports and the development supporters is a long-standing one. In every society, the question of human development exploiting nature is there. There comes the word “Sustainable.” It means the development and the environmental protection should go side by side. But, who will decide the line at which we should stop? We must not forget that we have not simply inherited the globe that we live in but also have our obligation to pass it on well to the next generation.